If we talk about upgrading or restoring your iPhone or any other iOS device is a straightforward task. But, not every time it looks like an adventurous tour. In some cases, you might be able to face the iTunes error 3194 error while upgrading or restoring the iOS device. Once you have got this error, you will feel stuck. Basically, we use to upgrade or restore the iOS device using the Macbook or any other PC/laptop that is having iTunes software. So, at that moment we don’t find the quick and best way to solve this problem. Don’t worry, here is everything about the same which you need to know. However, if you want to put music on iPod using iTunes then you can also do so. 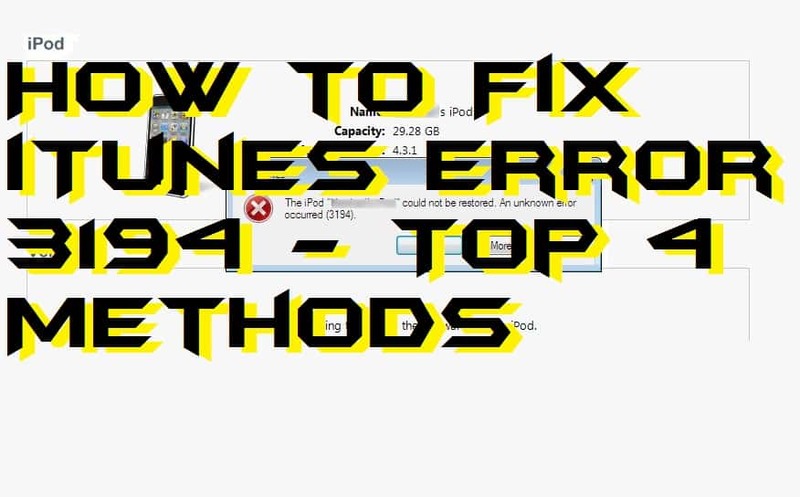 In this part of the article, I have shared the top four was by which one can solve the iTunes error 3194 problems within a minute. Generally, the reason behind this error is that iTunes can’t connect to Apple’s software update servers. This server is responsible for activating the iOS device when it is done restoring or upgrading. However, Apple says that it may be possible that the device which is getting this error means that it is has been triggered by jailbreaking. That is why the apple is not supporting it any longer. Alright, let’s move on to the solutions. Sometimes what happens is that we try to use advanced feature using outdated software and that causes an error. That is what exactly happens with the iTunes error 3194. So, if you are restoring your iPhone or iPad, then I will recommend that you must check for the update of the iTunes application. Though, it will decrease the chance of getting lagged when you try to use this feature using iTunes. This method is very complicated, so if you are not a computer geek. Then, you can take the help of someone else you can help you in following the method to solve your issue. What we are going to do is that you will be changing the host files of the Internet correctly because it may be possible that you have done something wrong to it. So, follow up the guide and do it very carefully. On your Macbook, open the Terminal and type this code in it. Then, enter your login details of the Macbook, if asked. After that, look for the entry of gs.apple.com. Once got it, then add # and add space at the beginning of gs.apple.com line. That’s it. Save the file, close the terminal, and reboot your Macbook. It may be possible that your PC or the laptop is damaged; that is why it is forcing iTunes to show the iTunes error 3194. Maybe your PC/laptop has got infected by the viruses, or maybe it has some junk problem so that it is malfunctioning. In that case, you can ask for someone to let you use their PC/laptop so that you can restore your Apple device. You can ask your friends or relatives to let them lend you the PC/laptop for some time. If you have tried everything and still you have not got any solution to the iTunes error 3194 issue. 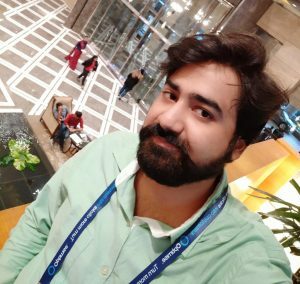 Then, I will say that you should try to showcase your issue in front of the experts which are available for you 24×7 at the Apple Store. You can make an appointment and fix your meeting date so that your problem will be solved. To get the appointment, just go to the support.apple.com and make an appointment for you. This was all about the iTunes error 3194 problem. There may be more methods available to solve this issue. But, if you don’t find any solution that can fix it, then you must take the call of the fourth method which is listed here. If you need to know the method to authorize a computer on iTunes then here you go. Instead of it, if you want to know how you can deauthorize a computer on iTunes then do read it. If you know someone who is facing the same problem then, make sure you share this article with that person. Such that it will help him/her in solving the same problem which you have been solved right now.